Since they were first launched into the Finn fleet three years ago, Art of Racing booms have become the boom of choice for the front of the fleet. 2018 became a breakthrough year for the fledgling company after some solid recommendations and results in the previous year. 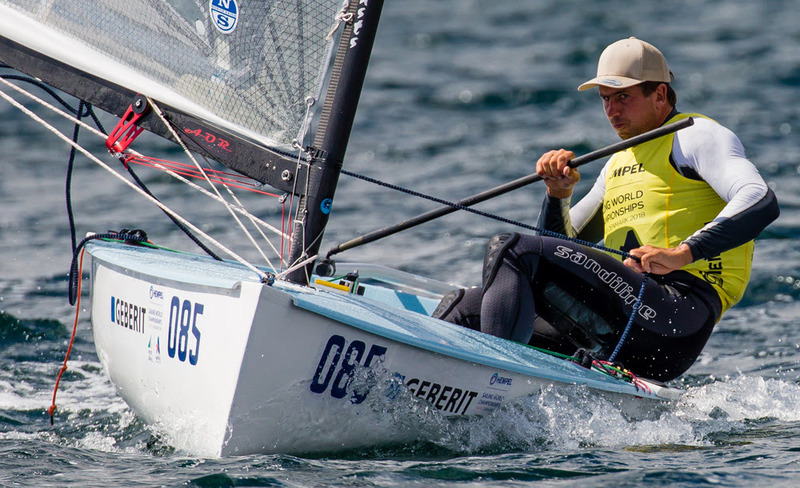 The high point was the 2018 Finn Gold Cup in Aarhus where the booms were used on seven out of the top 10 overall, including the top four. After years of development and marketing, the company finally had the confirmation it needed to showcase the booms to the wider market and set up stockists across Europe. This coming week at the Nautic de Paris boat show, the booms will be on display on the Finn France stand, and available to purchase and take away. Art of Racing was established by Alistair, Oscar and Russell (AOR), in New Zealand in 2011 with the goal of making the best Finn and OK Dinghy booms in the world. After a few years of development and the Mach 1 and Mach II prototypes, the Mach III Finn boom was introduced in 2016 with Josh Junior (NZL) using the prototype in the Rio Olympics. Full production was launched in 2017 and it has proven to be extremely popular with the world’s best Finn sailors. Art of Racing now has stockists in Australia, France, Germany, Great Britain, New Zealand and The Netherlands.